Easter School Holidays in Surrey! We have everything you need this Easter to find daily activities to keep the whole family busy every single day! With special Easter activities that are being put on by local favourites such as Piglets and Chertsey Museum, as well as all the great free activities being hosted by the Elmbridge Countryside Team to the Easter events being held at the bigger venues at the National Trust and Historic Royal Palaces (including the re-opening of The Magic Garden) as well as the in-betweens of Birdworld, Denbies, Hobbledown, Bocketts Farm and the Wetlands Centre. Not forgetting The Cat in the Hat, A Day Out With Thomas, Birds of Prey displays and much, much more all listed in date order as well as alphabetically by venue so you can find something to do in a flash! Whatever you choose to do we are certain you’ll have an amazing amount of fun! As well as more detailed venue listings further down the page, we’ve put together a handy little ‘at a glance’ calendar of any activities/events that are running on specific days below. To jump straight to the detailed venue listings please click here. If you’ve found this guide useful please do help us and share on Social Media…. Bocketts Farm – New born lambs in the Big Animal Barn. Animal Handling sessions, Easter stamp trail and Craft Corner every day. Ham House and Garden – Childrens craft activities, Easter Egg trail and egg and spoon racing. Polesden Lacey – Easter Egg Hunt – What a load of rubbish! *In Alphabetical order by venue! Visit Birdworld this Easter Holiday in our quest to track down the dinosaurs who are roaming throughout the park. Learn how our birds have descended from these ancient reptiles and take part in our themed dinosaur Easter egg hunt which will take you on an adventure to explore the different sections of the park. Running between 10am and 5pm everyday of the Easter Holidays, entries at all levels will be placed into a draw for the chance to win some great prizes. Take a look below to see what is running on each day! Over 350 new born lambs due in the Big Animal Barn and Lambing Shed. You may even get the chance to watch one being born. ‘Meet the Shepherd’ in sessions throughout the day. An opportunity to learn all about our sheep and lambs! Join Snuffles and Tiggles in the the Easter Garden for fun live shows throughout the day! Get creative in our Easter Craft Corner with badges, colouring sheets and lots more! Pick up the Brooklands Easter Trail in the Museum Shop and hunt for the hidden Easter questions around the Museum site. Find the answers to all the questions, fill out your trail and head to the Museum Shop to pick up your prize. Drop in, no need to book. Free activity with Museum admission. On weekdays during Easter (8th – 18th April), the ever popular car rides will be operating from 11am-1pm and from 2-4.00pm (subject to weather). Take a trip in a vintage-style car up Test Hill or along the Members’ Banking of the old Race Track, courtesy of the Brooklands Volunteer Car Rides Team. Also, London Bus Museum will be operating bus rides around the local area. Have fun exploring how different forces work in real life with this fun and interactive family show. Limited spaces first come first served. Join us for a fun guided tour of the motoring exhibits (11am) or of the aviation exhibits (2pm). Tours last 45 minutes. 13.30 to 15.30 – Join us for our monthly family drop-in craft activity. 10:30 to 16:00 – Embark on a special Cadbury Easter Egg Hunt around the garden to win a delicious Cadbury Easter treat. Buzz about Claremont discovering our bees and their favourite flowers. Follow the trail and search for the clues on our 8 colourful egg-shaped boards. 11:00 to 13:00 – Brighten up your day with easy to make creative crafts that will bring some colourful Easter fun in to your home. We’ll have a different craft every day. 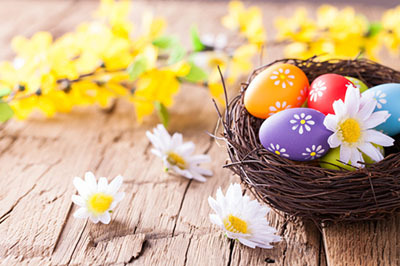 Get creative this Easter with arts and crafts activities. £7.50 per child / Accompanying adults free of charge. Meet Snakes, Lizards, Mini-Beasts, Frogs for an inspiring Animal Encounter. See birds of prey fly and preform amazing overhead tricks. Dress up and shake some moves on the dance floor! an Easter egg hunt at the highest viewpoint of the estate. £3.50 per child / £9.50 per adult – includes a glass of sparkling wine! West End Common. Learn how to light a fire and keep it going, toast marshmallows and enjoy fire cooked baked potatoes. Booking essential, spaces are limited. Arbrook Common, Claygate nearest postcode KT10 9EG. Discover what is living in the River Rythe and build a mini raft to float on it. Old clothes and willies recommended. Copsem Lane, Esher nearest postcode KT10 9HH. Suitable for 3 to 7 year olds. Activities include natural arts and crafts, small tool use, den building and fire lighting. Booking essential, places are strictly limited. You need to be able to attend at least 5 sessions when you book. Please contact countryside@elmbridge.gov.uk for more information and to book. Meet in Horseshoe Clump car park, nearest postcode KT10 9JL. Find our more about these fascinating creatures. 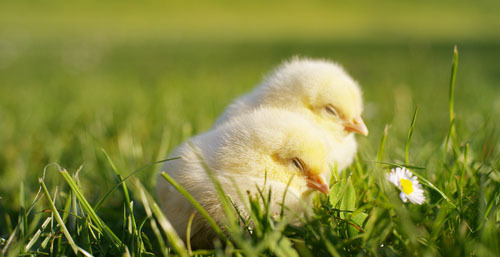 Join Wiglet at the Farm this Easter holiday for a full range of activities and family fun. Get ready for cuteness overload as lambs are born and chicks are hatching! Get close to our furry and feathered friends in scheduled activities throughout the day. Join the races and cheer on your rubber duck, help braid our miniature Shetland ponies and meet the Farm mascots. Bubbles the bunny and Shelly the sheep can’t wait to see you for a truly egg-citing time. 19th to 22nd April – Mega Egg Dash, with a prize every time! The fun doesn’t stop there; have an egg and spoon race with the family and enjoy children’s crafts in the basement. All activities are included in your general admission fee. A prehistoric experience featuring a total of 50 sculptures built with LEGO bricks, is coming to us in 2019. The interactive expedition created with more than two million bricks is sure to excite families, LEGO and dinosaur enthusiasts alike. A highlight includes the largest touring LEGO brick dinosaur model ever made – a whopping eight-metre T-Rex, plus be prepared for a few surprises! 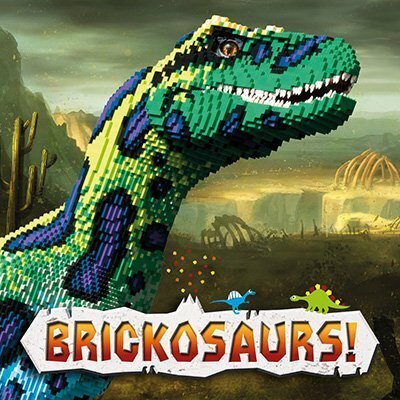 BRICKOSAURS will be included with general admission and will be on display from 5 April until 1 September 2019. Price: General admission applies. Suggested donation of £1 per child towards materials. 10:00 – 13:00 or until all the eggs are found! Use your detective skills to crack each clue and follow a treasure hunt around the Painshill landscape. Solve each riddle to complete the treasure hunt and reveal where the Easter Bunny has hidden all the chocolate. Children must be supervised by an adult at all times. Maximum 4 children per adult. Price: Included with general admission. Explore the woods and take our leaders special “short-cuts” up and down secret paths and forgotten tracks to scout out the perfect woodland spot to build an amazing den. Let your imaginations run free, adding decorations, features, furniture and anything you can think of using natural materials and cord. Refuel by lighting your own fire with fire steels to toast marshmallows. Follow the clues and journey deep into the woods for a morning of egg-citing games and team challenges, finding the hidden Easter eggs. In the afternoon its campfire cooking time with treats including our very special campfire doughnuts and the chance to create your own refreshing “mocktail”. Set up camp and build a survival shelter out of natural materials and rope. Just make sure it is waterproof! With our creative bushcraft day you will have the opportunity to use tools under 1:1 supervision with a Forest School and bushcraft trained instructor to make objects including mallets, tent pegs and games. You can also have a go at getting creative with willow, cord and wool, as well as chance to go foraging for spring herbs to cook with over the camp fire. No booking required, donations to charity accepted in exchange for face painting. A special one-on-one experience! Your child will have a pony to themselves for 30 minutes of riding, grooming and mane decorating, with a lovely rosette to take home at the end. Suitable for ages 2-8 years. Just £25, including two hours of play at Piglets! Booking required – please call 01932 241323. Suitable for ages 2-8 years. A lovely relaxed way for your child to try riding a pony! Suitable for ages 2-8 years. No booking required, £3 per ride in cash to our lovely pony handler. Suitable for ages 2-8 years. Come along and meet Elsa, sing along with some Disney classics and twirl until you’re dizzy! Dressing up absolutely encouraged! Pop along and create a masterpiece! Tons of fun and a beautiful keepsake or gift to treasure forever. Suitable for even the tiniest of artists as hand and foot prints can be taken too. No booking required, individual pottery prices will vary – ask Hannah for guidance! 6th – 22 April – Easter Egg Hunt: what a load of rubbish! The animals of Polesden are spring cleaning- what a load of rubbish they’ve created! So – they’ve set you a puzzle. Discover the wild and wacky ways they’ve reinvented their rubbish in our fun, family trail. Solve the clues and win a chocolate prize. Based on the much-loved book by Dr. Seuss that has captivated generations of readers, The Cat in the Hat features feline frivolity aplenty, with his acrobatic accomplices Thing 1 and Thing 2. Safari Adventure Golf is a fun-packed, 18-hole learning experience. With amazing discoveries at every hole, Safari Adventure Golf walks you through the deepest forests of south America, Africa and Asia. Skywalk Adventure in Esher, Surrey is the perfect place for outdoor fun- why stay stuck indoors when you could be having fun zipping through the trees, balancing on tightropes and crawling through barrels?! Please note that while they encourage Fancy Dress, no headwear, capes, tassels, loose items or anything that would prevent securing a harness will be permitted. Please note that timings of these activities may be subject to change. 10.30am, 11.30am, 1.30pm, 2.30pm and 3.30pm – enjoy stories for children. Plant ‘Bunny Tail’ seeds to take home. 10am, 11am, 12pm, 1pm & 2pm – Music workshops for children. Meet the animals from Millers Ark Farm. 12.30pm– Join our fancy dress parade on Seven Acres. Find the Golden Carrot to win a prize!